"lead to a 14 hour delay"
✅ Trip Verified | Phuket to Amsterdam via Moscow. I had chosen a day flight with a 1H20 connection in Moscow. But after online check-in i noticed the scheduled departure time had changed which eventually lead to a 14 hour delay. Ticket was booked 5 months in advance. Even as member of their frequent flyer program, I wasn't notified and there was no way for me knowing of this change until it was to late. ✅ Trip Verified | Tel Aviv to Shanghai via Moscow in Business, returning in Comfort. Obviously SU is cutting corners to save money, but with her premium passengers? Not a great idea. On the flight TLV SVO, I was with my son who I ordered child meal for. 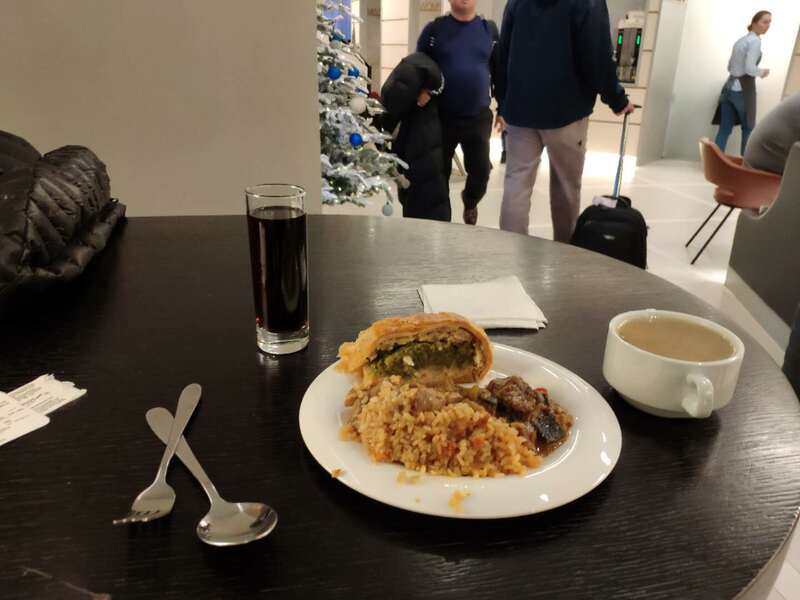 They served him with a child meal from economy (confirmed by flight manager) who apologized, I guess they don't carry such a special meal Child meal Business class. To my request to at least give him an appetizer from the Business menu the answer was 'niet'. No bottles of water distributed, newspapers only in Russian offered in English by a polite flight attendant. The crew were no where to be seen but sitting in their galleys eating and chatting. Transfer to our PVG flight was probably the worst experience as a Business passenger. Hundreds of transfer passengers pushing and shoving to pass a passport inspection point that was manned by 1 person. No Sky Priority Line, my 14 yo son was almost crushed by a group of very aggressive pushy passenger. Fast Track maybe is the term to introduce to Moscow Airport. We barely made it to our connection flight to PVG. This flight was ordinary, we refused the child Meal. I wrote a complaint to SU, but all you get is an automatic apology and a 'thank you for your feedback'. The return flights were in Comfort class, nothing special to report. Meals with no drink service, but I must admitted their inflight crews are the only good thing about Aeroflot. ✅ Trip Verified | Great daytime flight from Shanghai to Oslo via Moscow SVO. Despite some apprehension from other reviews regarding bags going missing at SVO transfer, everybody and their bags arrived earlier than scheduled at the final destination. Transfer from SVO Term D to E was a quick walk and uneventful. A well supplied lounge at Term E was quiet and relaxed during the short transit time. 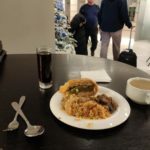 The cabin crew were friendly and helpful with perfect English language skills and the meals above average, with four main course options on offer and each was tops. Plenty of wine/spirits were available during meals and the flight generally. IFE was well stocked and adequate for a 10 hour flight. The lie-flat beds were not tested on this occasion. ✅ Trip Verified | Moscow to Bangkok economy class. Moscow Airport is good and the check-in was swift, via Skypriority lane for Frequent Flyers. Recent Airbus A330. Flight Attendants welcoming and helpful. Was not offered a Space+ seat with extra legroom)although my GoldMember status entitles me to it - but I was offered a Space+ seat on the first segment from Paris to Moscow. Seat comfortable, with good width and legroom. Large choice of movies, watched 3 during the 9 hours flight. Dinner, then breakfast, both good in quality and quantity, and the Flight Attendants again perform very well. No more ice cream between meals, unfortunately. Arrived to Bangkok relaxed and right on time. Was offered a Priority Immigration Swift lane - very appreciated. 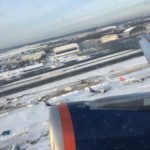 Overall a very good experience and I strongly recommend Aeroflot. ✅ Trip Verified | In direct contrast to some of the problematic reviews of Aeroflot we read in planning our itinerary, our experience traveling business class from Tel-Aviv to Hanoi via Moscow was excellent. The carrier took off on time, the crew was cordial and helpful, the seating congenial to our expectations and the food superb. We highly recommend traveling business class on Aeroflot. 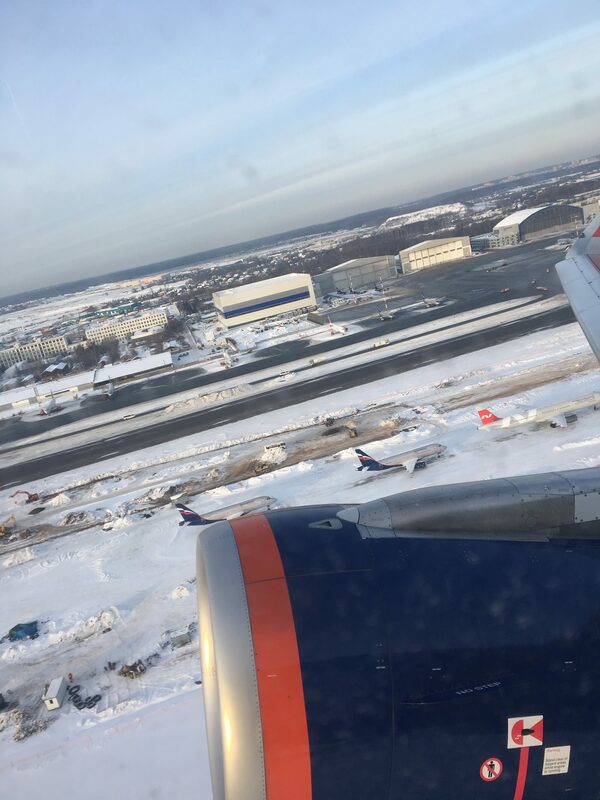 ✅ Trip Verified | I was flying from Copenhagen to Saint Petersburg via Moscow. With all flights on the route being served by Aeroflot. I had only 75 minutes to change in Sheremetyevo. Why do you let the booking systems to sell the tickets with such a small time to connect. It's barely enough if the flight is on time - but, in my case, the Aeroflot flight from Copenhagen was delayed by 25 minutes. I have to say a few words about the official ground representatives of Aeroflot in Copenhagen. It was hustle and bustle, with lots of unnecessary movements. They made an impression of low professionalism. So the flight from Copenhagen departed with 25 minutes delay. The cabin crew on the flight CPH-SVO was also very hectic. I asked for a coffee and they poured me a warm liquid which barely resembles coffee. When I've told the lady about it and asked for the tea (if it's warm) I was met with very unfriendly face. The food had become very poor lately. I missed my connection to Saint Petersburg, I was rebooked for the next time, but barely had time to catch it. So if you travel via Moscow's Sheremetyevo you have to have at least two hours for the transfer. I arrived in Saint Petersburg's Pulkovo airport with the next Aeroflot's flight, but my luggage didn't, it arrived two flight later almost at midnight. The ground service of Pulkovo airport offered me to wait for my luggage two and a half hours. They offered me to fill in some papers and lied that if I will put 24 hours contact permission, it will simply mean, that they will have a right to send me sms 24/7, in fact, I later figured out that it meant that they can deliver my luggage 24/7. The next day I call to Pulkovo luggage service to ask about my luggage delivery, and they inform me that I will only get it from 20:00 to 8:00, at night. So I took a taxi and came to Pulkovo myself and picked up my luggage. Aeroflot didn't compensate the money I've spent on a taxi. ✅ Trip Verified | Hamburg to Bangkok via Moscow. Every flight was delayed by minimum of one hour. Nearly missed my connection flight. Dont expect any help if problems occur. We had an emergency passenger on plane and stewards were clueless how to help. Luckily we had a nurse on the flight who could measure the blood pressure. We nearly made an emergency landing because of miscommunication, if I wouldnt have translated for the sick customer. A fight nearly occurred between staff and a passenger, which the customer didn't want to make free for another passenger. If you book a flight with a connection, make sure your stayover is longer than two hours. Otherwise you are in risk of missing the connection due to the delays. ✅ Trip Verified | Moscow to Hong Kong. Excellent inflight service and I was happy to share particular compliments about those who served me. Much better than Cathay Pacific long-haul by a longshot. Flight arrived early. Cabin was clean and fresh. No issues with bag storage. Lots of space. Excellent entertainment system and magazines. Food quality and quantity better than Cathay Pacific. Bag came out very quickly. Really feel that this airline cares about its customers in a genuine way. ✅ Trip Verified | Flight was delayed from New Delhi. Landed Moscow at 15:10. Due to the late arrival missed the connecting flight. Have been waiting for accommodation since then with a torturous process of waiting for the hotel list at 11 pm then immigration and now waiting for the bus to hotel at 12:30 am past midnight. Looks like I may not even get couple of hours of bed since past 30 hours of my journey. "they kept people in a bus"
✅ Trip Verified | Saint-Petersburg to Rome. It was -10 degrees outside and they kept people in a bus with open doors until it gets full to get to a plane. Even though, the plane was fully packed the bus made just 2 races. When bus arrived to the plane people had to wait outside the plane cause they were checking boarding passes for the third time in a row.